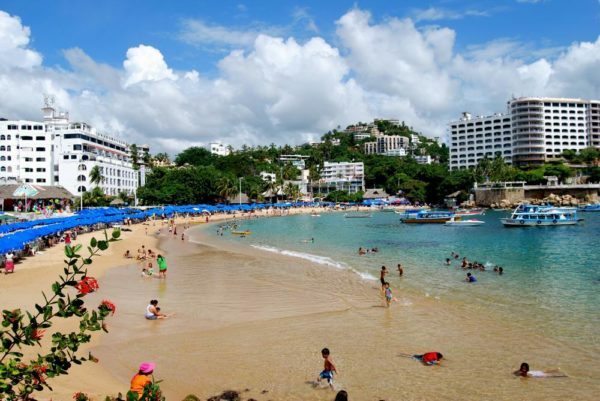 Caleta Beach is among the most popular beaches in the Acapulco area in Mexico. The beach is extremely family friendly, and is a safe and fun alternative for kids, as the waves here are extremely gentle and the currents weak. The waters here is crystal clear, and the sand pristine ( although artificial ). The beach is extremely popular with tourists and locals alike, and there is no dearth to facilities here. Caleta Beach tends to get a bit busy during the peak times, as it is on the popular side. 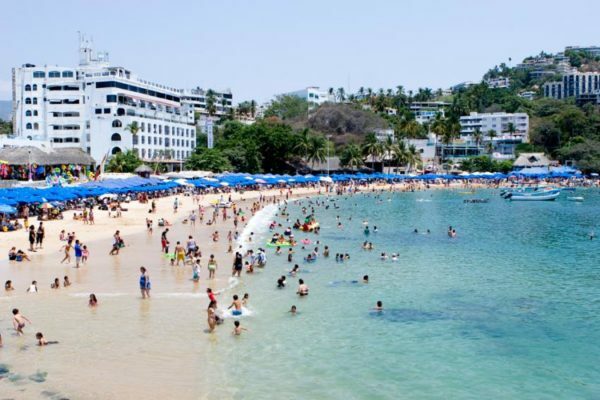 The Caleta beach Acapulco is also in the vicinity of the historic section of Acapulco, and many people traveling in the area have the excellent idea of exploring the ancient structures and other sights and then cooling off at the beach afterwards. The Caleta beach is horse shoe shaped and is an artificial beach. The Caleta Hotel was responsible in the past for attracting a whole number of people here. The increased tourist attraction was responsible for the development of the area. There is a whole number of developments that have taken place. The beach here is actually artificial, with the sand bought over. 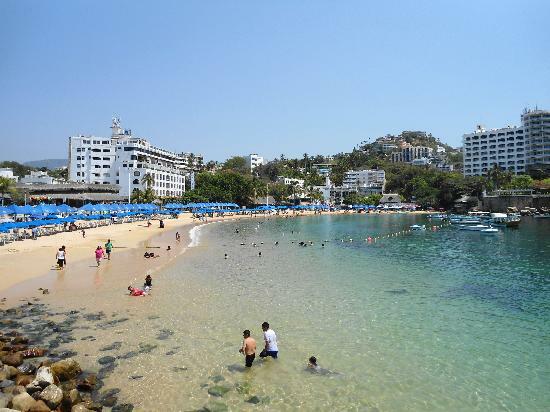 The Caleta beach Acapulco has retained its style and the area is among the most fashionable in the city, although the hotel is rather aged. There are a good number of the best resorts in town here. The tide here is rather temperamental, and there can be quick recedings at erratic times. The beach here is lined by some excellent restaurants and shops. There are some quality hotels here as well. The Acapulco airport is also just about forty five minutes away. There are a good number of options with regards to entertainment and activities. There is a whole number of rewarding activities for all age groups, and there is no dearth to quality dining establishments. There are a good number of quality establishments as well. There are some excellent sea food establishments here that serve fresh catches everyday. There are a good number of excellent trees and shades here. Diving is on offer here, and there are a good number of dive shops located at the beach. Diving here is an exciting experience as the waters here are crystal clear and offer excellent visibility levels almost all through the year,. There are a good number of marine wealth as well. The sight of these vibrantly colored fish in the waters is nothing less than a psychedelic experience.